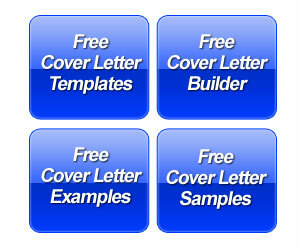 The writer addresses the cover letter directly to an individual. 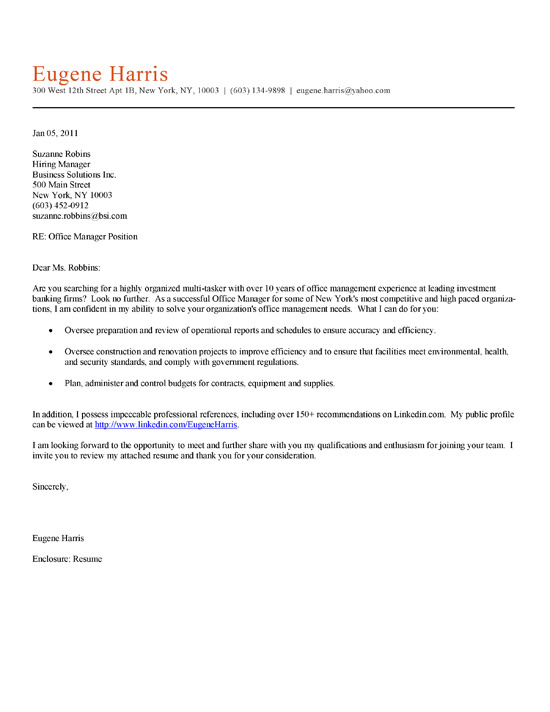 However, the introduction is written as though there is no specific job position being targeted, just a general position in office management. The job seeker writes a powerful introductory statement that clearly identifies 10 years of experience in office management. Moreover the first paragraph explains this experience is in fast paced New York offices. The job candidate highlights reporting, scheduling, project management, administration and budgeting. The achievements in bullet point emphasize the ability to improve accuracy and efficiency. The writer also lists an action to redesign the office in order to meet government regulations in regards to health and safety standards. A busy office manager can be overseeing a variety of tasks such as billing for a corporation, customer service, research or even product design. More than anything, the office needs to maintain productivity. So an office manager needs to show the employer that they can juggle multiple tasks, supervise large groups, manage scheduling and keep the office performing at capacity. 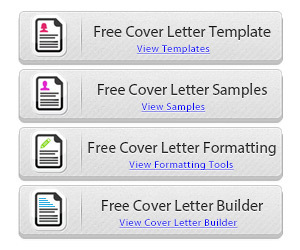 Like the sample cover letter above, prove that you can make things efficient. Any number of accomplishments should be included in the document. Try to ask yourself what you have done to improve productivity, streamline processes or enhance employee performance. If you were able to implement software to reduce time spent on a task, then make sure to highlight that on both your resume and cover letter.